Post-it Notes - Did You Know? Here is an image of Did You Know hand written on a post-it note attached to a sheet of paper. 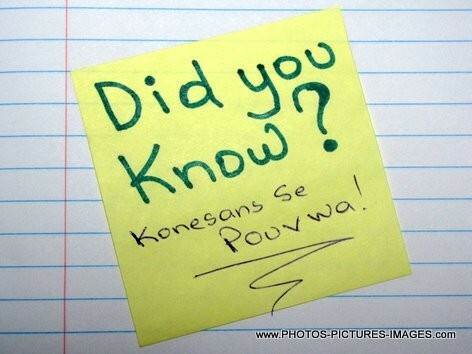 Below it are the words "Konesans se pouvwa"
That's Haitian creole for Knowledge is power.